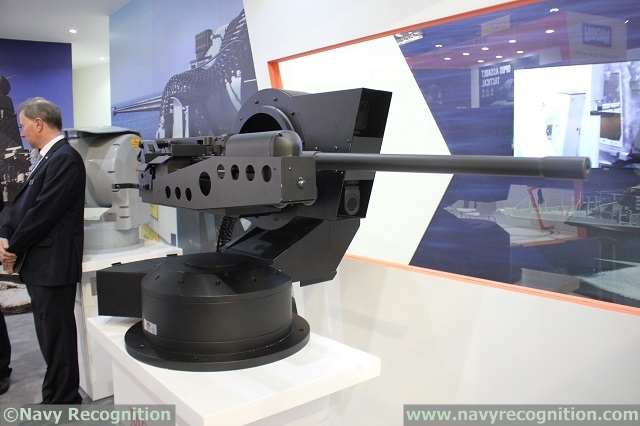 DefenseTech is reporting that the Coast Guard is looking for means of making its general purpose machine guns into precision weapons, so that if they have to use the weapons, the possibility of collateral damage can be minimized. “The Coast Guard wants to make its deck-mounted machine guns accurate enough for crowded American harbors. Gratifying to see that the Coast Guard is thinking though how situations might develop where they will need to use deadly force in situations where there is a danger of collateral damage. Its easy to understand that using a machinegun on an unstabilized mount on a boat that is bouncing around might endanger the local population as well as the intended target. But even that may be too large for some of our smaller boats. Looks like this might have trouble accurately firing bursts, but apparently it could accurately fire single shots and give boats some of the disabling fire accuracy of the airborne use of force units without the extensive training. Still I hope the Coast Guard will look beyond simply making a more accurate machine gun. Any gun is likely to have a percentage of its rounds go astray, possibly endangering the innocent. Perhaps the Coast Guard should continue this train of thought, applying the same concern on a larger scale. After all, we may need to stop much larger vessels inside US internal waters. Shooting 25mm or even 57mm inside Puget Sound or Chesapeake Bay is a poor option, but given the way cutters are currently equipped, it may be the only option available and ultimately they may be ineffective even for small targets. Griffin can be used for relatively small targets, here and here. For larger targets Longbow Hellfire is already in the US Navy inventory or perhaps the largely American made BAE Brimstone/Sea Spear which appears to offer even more target selectivity. Once the target gets larger than about 1000 tons it is going to be very difficult to stop. As noted earlier I think the answer to this problem is a light weight torpedo that can target a ship’s propellers. Frankly I doubt we will have a major cutter (WMSL/WHEC/WMSM/WMEC) in the area if the Coast Guard ever suddenly finds itself needing to stop a maritime terrorist threat. They do not hang around US ports when they are underway, and when they are in port, they take too long to go from cold iron to underway. If this ever happens the largest Coast Guard vessel likely to respond is a Webber Class WPC. They are large enough to mount weapons capable of stopping even the largest ship. They really need to be properly equipped for the possibility. Why Arm Coast Guard Assets? This entry was posted in Operations, Ships, Weapons and tagged Coast Guard missions., Ports, Waterways and Coastal Security by Chuck Hill. Bookmark the permalink. When the Olympics were in LA the Coast Guard mounted the .50 calibers on the 82. I sent a memo stating that the .50 M2 was to much of an effective weapon for harbor use. I was assured by a couple of captains that the .50 M2 would be no problem. I asked if the had ever fired a .50 M2 from a rocking boat. None had and they still blew off my concerns. What a stupid idea. Never mind firing from a small boat, have any of those pushing this idea actually been in a boat of any description? The Navy mentioned that they were looking for missile options for their new SafeBoat patrol boats. Griffin might be a possibility for the USCG and Navy PBs, the advanced precision kill might be an option too. No technological advancement will come without putting effort into it; however, I wonder how cost- and performance-effective it would be to simply provide some coxswain training to move the boat in a more stabilized manner for the gun/gunner, such as matching speed to the swells (following sea) or riding in the trough (quartering sea), etc.? Likewise, expend some money for fuel and ammo to keep skills sharp. Shooting, especially from a moving object, is a perishable skill… The American way is always to throw technology at everything. The Coast Guard does do some exercises with gunners in small boats, not sure about the coxswains and the techniques you suggest, but if the other guy starts shooting back, the coxswain is going to want to move the boat along. No amount of fancy small boat driving is going to make a crew served MAW a good choice….particularly in a major metropolitan port. Some years ago there was a video floating around showing Coast Guard boat forces at Fort Campbell (I think) in practice firing on a river. It was all spray and pray. I believe the Coast Guard’s Vietnam veterans were the last to fire where there was a civilian population in the line of fire. In a small boat operation, even I used the M79 grenade launcher when we took some fire from people fishing among some rocks on the coast. Not very precise, but effective. “…the coxswain is going to want to move the boat along.” Indeed! That is the precise reason for the training. The instinctive reaction is counter-productive. Good shooting requires several aspects, but the pertinent one for the coxswain is: stable platform. The story here is about trying to develop technology to replace skill. In my opinion this will cost a lot, and only be partially effective. As X asked above, “has anyone involved in this stepped foot on a boat?” The gyros, hydros, and other animatronics required to counter the sea and/or non-optimal boat-handling would weigh so much it would sink anything smaller than an 87’er. Navy SpecWar special boat units can do it. Maybe the CG could do some joint training? And it’s not just coxswains. Effectiveness at this sort of evolution requires teamwork. The trigger puller will require lots of skill acquisition and maintenance, too, and the coxswain-gunner team must learn to operate as one. If intel reports there are 3 small boats in a metro area going to attack, is our coxswain going to say, “the M240 is too dangerous with all these civillians around?” I’d rather see a well-trained crew firing a couple well-aimed short bursts into each enemy boat, than either throwing up our hands, or a CG boat bouncing all over the place with a gunner holding the trigger back until the belt is gone. But that’s just me. Consider a 1000yd zone and everything that practically must happen to effectively engage a hostile target. Now consider a 60kt+ closing speed, wind and/or waves, limited vis, other traffic, fields of fire…..not to mention the inherent difficulty of determining hostile intent from boneheaded Joe Public…..and the whole episode is over in less than a minute. Weapon choice is one factor of many. …”Navy SpecWar special boat units can do it”…..Comparing CG crews with SBU crews is not fair or useful. CG crews are multi-mission trained (in very different mission sets), are using multi-mission platforms, operating in a domestic port setting. ….”If intel reports there are 3 small boats in a metro area going to attack”….if ONLY we were so lucky to have real world scenarios that were this simple and straight forward. My vote would be for a purpose built jet drive PWCS-only platform with a MK19 or similarly high explosive projectile, perhaps in combination with a 240G. The crew is only going to get one chance to engage the target….better make it count in a big way. @BMCS, good point, even at 30 knot close rate, can be over in less than a minute. Unfortunately, I have fired the Mk 19 and it is pretty useless as far as hitting a moving point target because its velocity is so low. Maybe if we had some sort of high velocity round that would self destruct at 1000 yards if it had not already impacted it might be useful. A historical example. In 1861 a steamer in New York Bay refused a revenue cutter order to heave to. The good RCS captain had his crew at the 12-pounders and ordered a warning shot. Of course, this shot bounded into New Jersey. The steamer still did not heave to and the next RCS shot was into the steamer’s walking beam. The RCS and Coast Guard did not have much thought of the “civilians” in the line of fire. The came to a head during Prohibition when the six-bitters only had the one-pounder to use as a weapon. They too bounced some rounds into the shores of Massachusetts and Rhode Island. The Coast Guard’s reaction was to develop another weapons system. They took a Lewis Machine Gun (chambered for 30-06 from WWI) and mounted it “piggy back” on the one-pounder. However, the real reason was to save money. The one-pounder rounds cost more than 30-06. The only difference in down range targets was the size of the projectile. The machine gun rounds then fell on the shores of those honest New Englanders. They also killed an on boat patrol BM1 from Gloucester Station (I think) who was mistaken for a rum runner. There were more Coast Guard causalities from rum runners than of civilians hit. Raytheon is fielding an upgraded Griffin missile which looks like it would offer some advantages for our purposes. The range improvement is particularly welcomed.